Guaranteed to like my service or your money back ! I will create 10 DOFOLLOW from HIGH Authority GOV Domains with PR8 root domain. Your URL will appear on GOV site & for indexing I advice you to buy with extras and use these 10 .GOV backlinks as Tier1 and your extras as Tier2 build on your Gov backlinks ! It's recommended to create these redirect links to your Homepage URL . Delivery in max 24 hours or max 48 hours if you purchased with extras ! Order now for just $3 ! 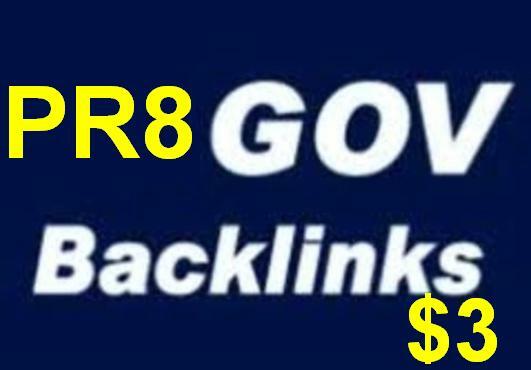 create 10 PR8 DoFollow High PR Gov Backinks To Boost Your Seo Serp In Google is ranked 5 out of 5. Based on 61 user reviews.